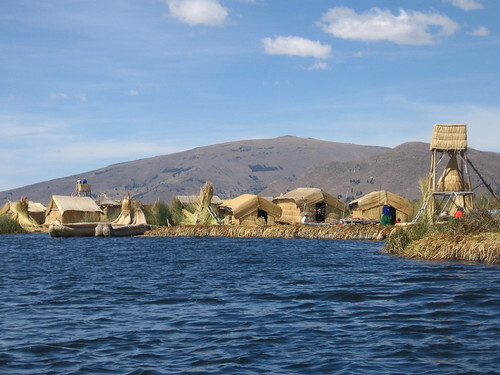 Lake Titicaca - World's highest commercially navigable and South America's largest lake (by volume) is home to Uru people (aka Uros), a pre-Incan people, who live on small man-made floating islands on the Peruvian side of the lake. 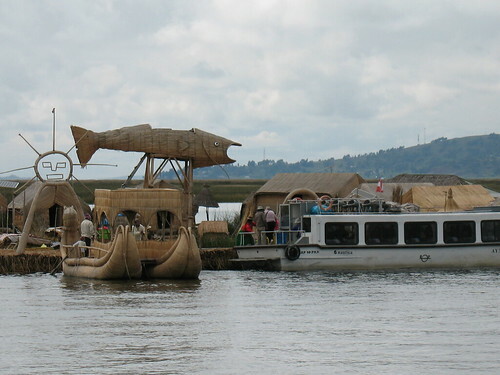 The islands or rather the islets are made of thick (1-2 metres) layers of totora reeds - an indigenous reed which grows in abundance in the marshy shores of the lake. With passage of time the reeds which are spread on water like a mat, develop dense roots and interweave with nearby roots to form a thick solid floating platform. The islands are normally moored to the shallow region of the lake bed with ropes attached to sticks driven into the bottom of the lake, however if needed these can be moved/towed away. The reeds have a short life (about 3 months) and fresh reeds have to be piled regularly on the top surface of the floating platform to replace the rotting reeds at the bottom. 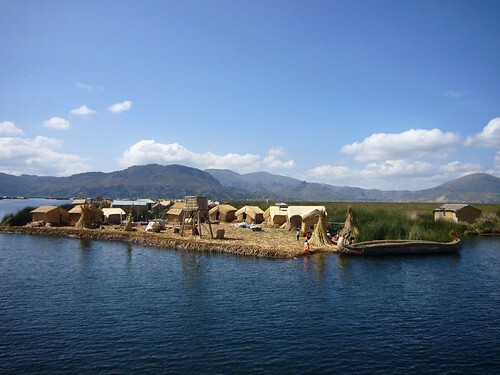 Reportedly Uros have been living on these man-made floating islands for more than five hundred years. They had come to live on the waters to escape the Incas and whenever a threat arose they used to move their floating micro islands to deeper waters. Even today the largest island has a watchtower made almost entirely of reeds. 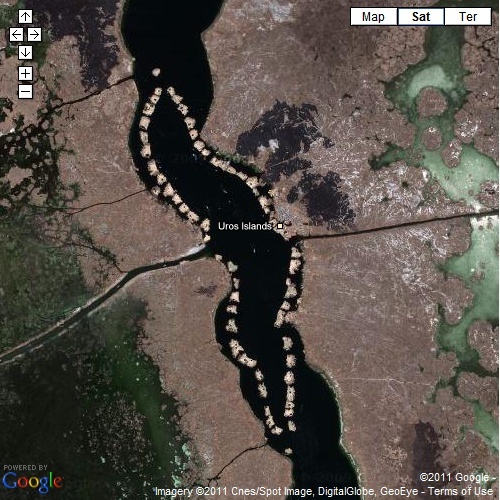 As per Wikipedia there are forty-two such islands, though in the Google Earth imagery fifty-seven islands could be seen. The width of individual islands is about 20-30 metres and their length varies from 30 to 100 metres. A great advantage of these floating islands is their expandability - smaller islands can be combined to make larger islands as per the needs of the family. 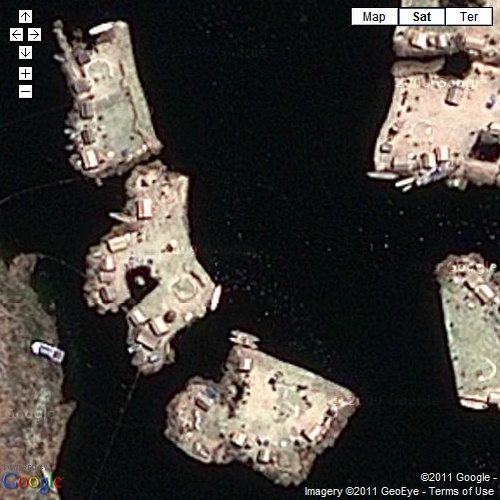 The large islands generally accommodate about ten families, while smaller ones house two to three families. 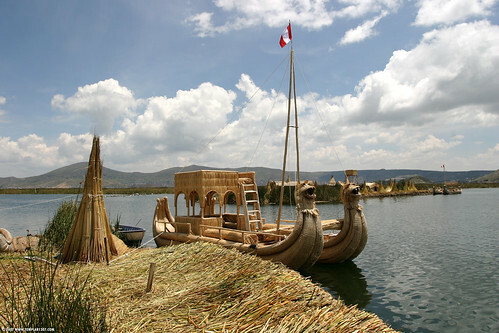 The life of Uros revolves around the totora reeds. Not only they use it to make their islands but they also make their housings and boats from dried bundles of these reeds. In addition to fish and sea birds meat, the totora reeds is part of their diet, its flower provides them with tea like drink and they even use it for medicinal purposes. 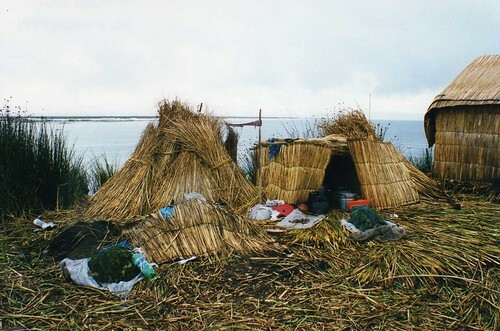 Besides fishing, totora reeds are also a source of income for them. 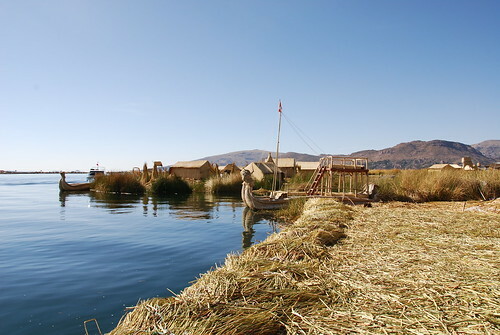 The Uros make small hand-crafted items/souvenir from these reeds and sell it to tourists who come to their islands frequently. 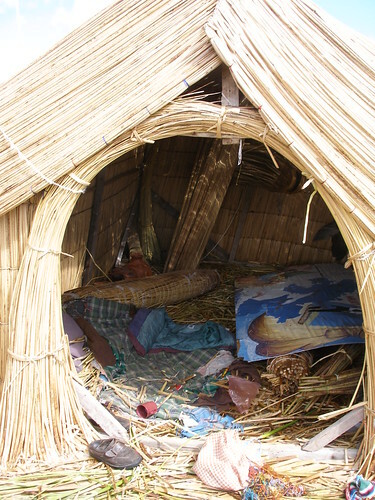 They also collect and sell the dried reed bundles to the towns people. 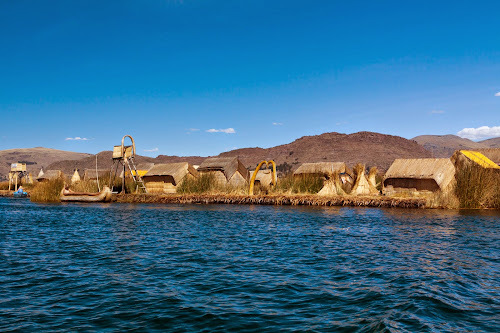 Credits: I am thankful to Barbara who sent me the link (Dark Roasted Blend) about the fascinating Uros people and their amazing floating islands. Thank you Barbara for the link.